Radicals and radical ions are important intermediates with wide use in organic synthesis. 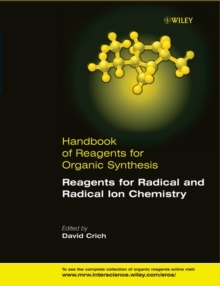 The first book to concentrate on reagents for the creation and use of radicals and radical ions, this new volume in the Handbooks of Reagents for Organic Synthesis series compiles articles taken from the e-eros database, on reagents for use in radical and radical chemistry, to help the chemist in the lab choose the right reagents. Reflecting the enormous growth of radical chemistry over the past ten years, this is an essential guide for all synthetic chemists.